The Property Map Book is a pdf download containing single section (1 sq. mile) pdf maps. The maps are at a scale of 1 inch equals 200 feet, 37" by 32" in size and can be viewed or printed using Adobe® Reader®. View a sample of the Property Map Book. Purchase the Property Map Book pdf for $160. Contact AIMS by phone at 913-715-1600 or email mapper@jocogov.org for additional information. 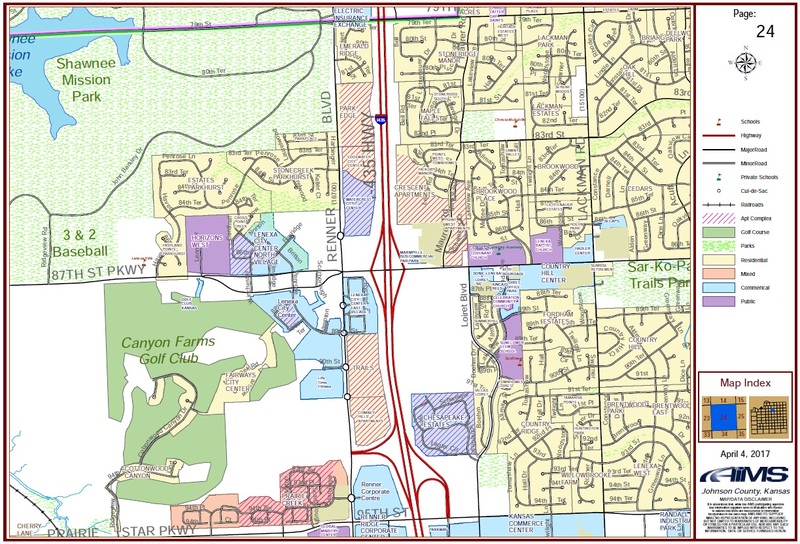 The Subdivision Map Book is a pdf download containing a grid network which is used to locate Subdivisions in Johnson County. The map book subdivisions are classified by residential, mixed, commercial, and public. Updated quarterly, 107 pages, 11"x17". 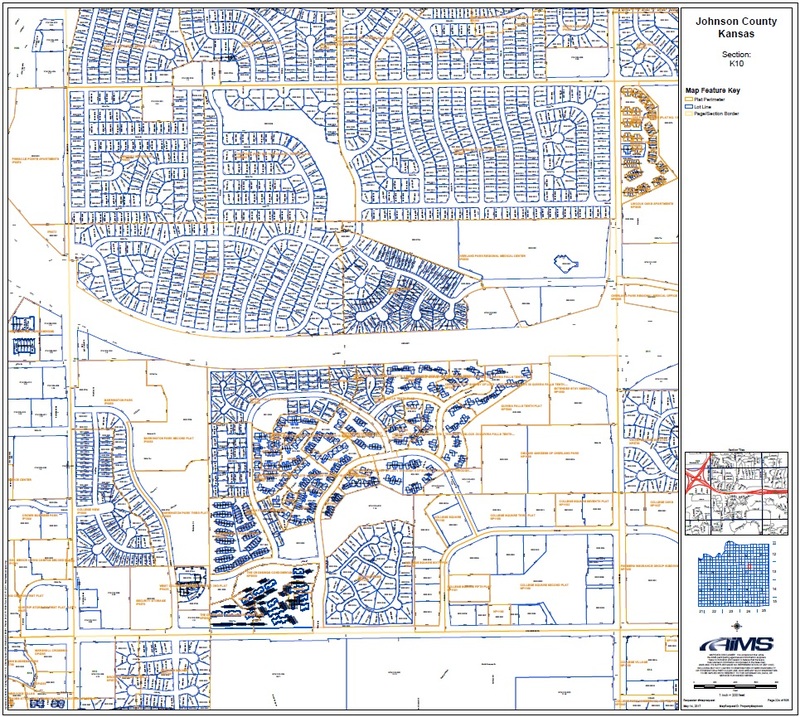 View a sample of the Subdivision Map Book.